Displaced Kashmiri Pandits on Tuesday urged the RSS to fulfil the desire of Jana Sangh founder Syama Prasad Mukherji to abrogate the Article 370 of the Indian Constitution that has encouraged the feeling of secessionism in Jammu and Kashmir. The demand by Panun Kashmir, the organisation of displaced Pandits, has come at a time when the top leadership of the RSS, including its chief Mohan Bhagwat, has assembled in Jammu for the annual review of the organisation’s programmes. 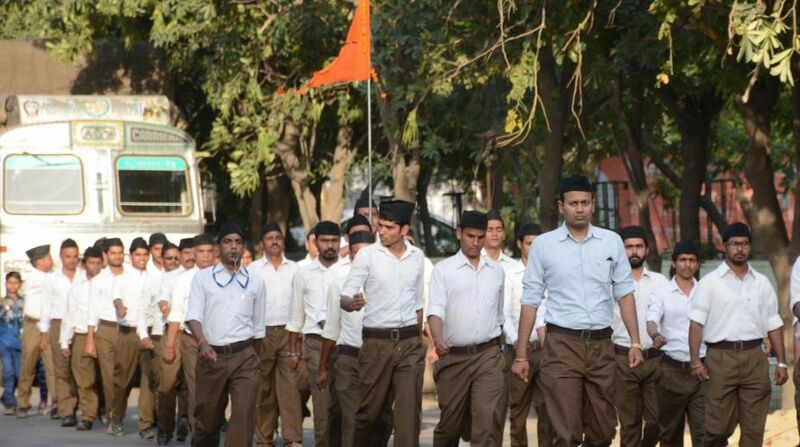 This is the first meeting of the RSS in Jammu ever since it was formed 92 years ago. They reminded the RSS leadership that Mukherjee sacrificed his life in the prison in Srinagar where he was lodged for demanding complete integration of Jammu and Kashmir with the rest of the country. President of Panun Kashmir, Ashwani Chrungoo, told mediapersons that the Article 370 infringes the fundamental rights of the Indian citizens “in context of Jammu and Kashmir state in many ways”. “It is this Article that has provided a constitutional mechanism to perpetuate the concept of secession in J&K and which justifies a psychological drift from the national mainstream giving rise to absurd theories of sub-nationalism in Kashmir,” Chrungoo said. Article 370 grants special autonomous status to Jammu and Kashmir. Political Affairs Committee Chairman ML Raina said the Kashmiri Pandits continue to live as refugees in their own country for the last 28 years. “Their pain and agony are unparalleled in the post-freedom era of our country,” he said, adding, “it would be great if the historic meeting of the RSS gives a clarion call for their resettlement in the Valley as per their geo-political aspirations as enunciated in the Margdarshan Resolution of 1991”.